EEF Classroom Enhancement Grants provide opportunities for teachers to fund innovative experiences that enhance the learning environment. 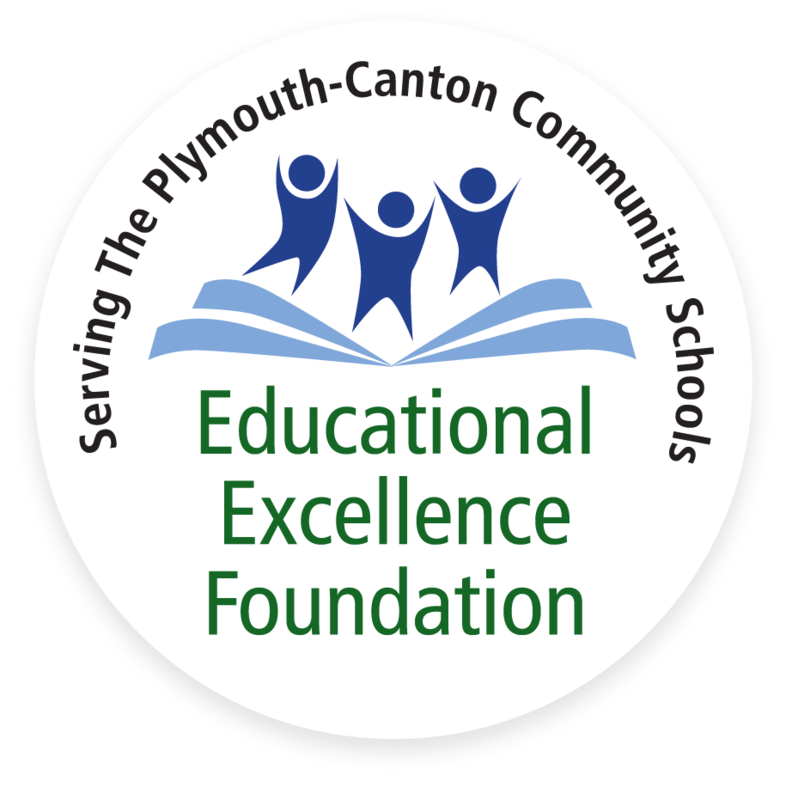 Since 2000, the EEF has funded over $422,000 in grants to all 24 schools throughout Plymouth-Canton Community Schools (P-CCS). 2018-19 Grant application deadlines are October 5th, 2018 and January 18th, 2019. With the expectations every day for elementary students, research indicates that students must have breaks to allow the body to calm and reenergize to achieve focus on tasks. The sensory hallway will be full of fine motor and gross motor activities. This hallway would include sensory equipment designed to provide proprioceptive, tactile, and vestibular sensory input. The materials will be mounted on the hallway walls and placed on the floor in a specific manner. A significant increase in the number of students grappling with issues and concerns with their social and emotional well-being, many of which are connected to anxiety and depression, has been noted. Therapeutic supports will benefit all students. Support of this grant will help develop a space for students to process, grieve, or seek comfort. Some of these supports include a white noise sound machine, puzzles, stress relief balls, cards, books, etc. The reflection room will provide students the opportunity to review and reflect on their behavior and how to repair any damage that was incurred. Activities in this room will concentrate on developing a range of mindful practices which will enable children to repair any harm done, interact positively, improve self- control, build empathy and self- awareness, and reduce stress. Some of the activities include: lights and sound buzzers, Twister, sequins sewing fabric, yoga activities, cards, books, etc. Upstander is a program that works to end bullying by putting power in the hands of students. There are 8 lessons total that facilitate the development of leadership qualities, critical thinking skills, and bullying intervention. Facilitators will work with four groups of 30 students each year for a total of 120 students per year. The program is consistent with the district goals of creating a safe, inclusive learning environment for all students. The project is built around 1/10 scale electric radio- controlled cars, programmable microcontrollers, ultrasonic range sensors, and infrared light sensors as a platform for students to apply the concepts they are learning in the physics classroom. They will be using their physics skills to solve real world problems associated with making autonomous and connected vehicles that won’t collide with objects in their path. This grant will allow biology students to study biology from a different and smaller perspective which will allow them a more thorough understanding of how their bodies, as well as the bodies of other organisms, function. Students have not been able to see or experience processes or structures at the microscopic level. This grant will support the purchase of microscopes, smartphone camera mounts, prepared microscope slides, and batteries. This grant will provide funding for a heart rate monitor system. The system will assist with physical education assessments and educate students on maximum and minimum heart rates, recovery heart rates, and resting heart rate zones. The monitor system physically attaches to each student’s forearm. Students are visually able to see how their heart responds to a variety of exercises. This system will also allow teachers to load multiple classes and because there is a storage unit, they can also monitor outside fitness opportunities. This grant will support a Free Voluntary Reading Library for World History classes. It will be composed of young adult historical fiction books that students will be able to access during a ten- minute daily FVR time at the beginning of every day. There will be a range of reading levels, and the books will allow the students to learn culture, history, and a context for different places and eras of history in an engaging and interesting way. Help Fund a Classroom Grant!